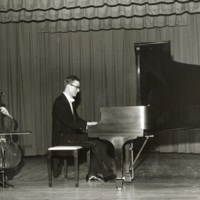 Daneil Domb (left) and Sidney Moore (right) performed together on March 23, 1963. 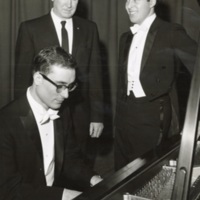 From left to right: Sidney Moore (sitting), Grinton I. Will, Daneil Domb. 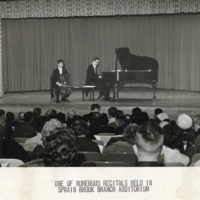 Domb and Moore performed together at a concert held on March 23, 1963 at the Grinton I Will Library (formerly known at the Grassy Sprain Branch).